In our culture, manliness is primarily defined by two traits: meat-eating, and a reckless disregard for one's own health. Man Vs. Pasta fulfills both of these in spades, and would be at home in any bachelor's cookbook. Pictured here is Man Vs. 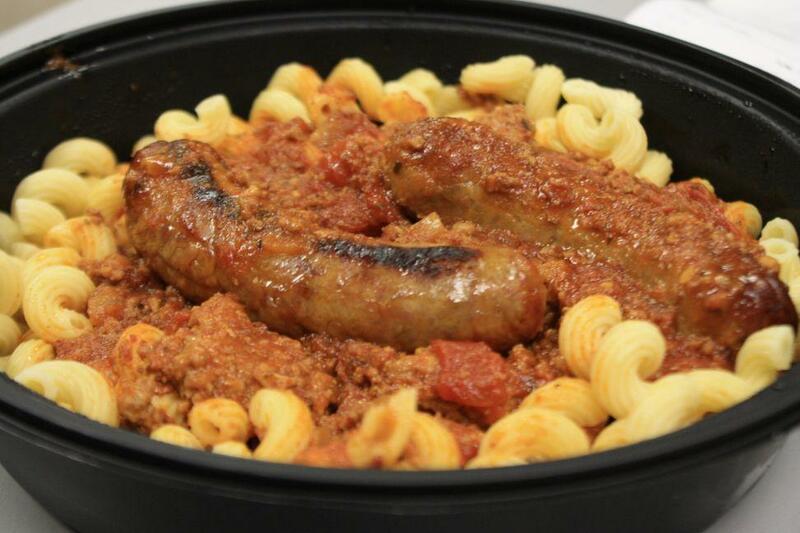 Pasta, complete with hearty links of italian sausage, thick, meat-filled sauce, and a pasta that is best described as "rugged".